Sheffield gluten free food company Delicious Alchemy have been in touch to let me know about their exciting new venture. A few months ago, they launched a charitable foundation, which aims to help people on a restricted diet. One of the things they intend to do is donate gluten free food to food banks. Rather more ambitiously, DA are hoping to use the charitable foundation to publish a book aimed at helping people to transition to a gluten free diet, the proceeds of which will go directly into the foundation. It’s being written by DA’s founder, Emma Killilea, and will be called “Goodbye Gluten, Hello Delicious: Your Guide to Going Completely Gluten Free”. The book will feature a 30 day meal planner, with expert advice to mentally prepare people for a free from way of life. To achieve this, Delicious Alchemy are trying to raise £16,000 through a crowdfunding campaign that went live this week, to help cover the production costs of the book. Rewards for backing the project include having your name mentioned in the book, a donation to a food bank made in your name, a copy of the book, and being a taster for DA for a year. If you’re feeling particularly flush, you could earn a 24 hour Eurostar trip to Paris! The crowd fund is open for about a month. Good luck with it, Delicious Alchemy. Tags: Delicious Alchemy crowdfund. Bookmark the permalink. 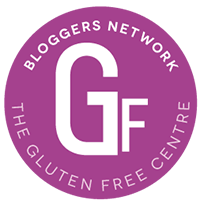 Previous post ← Gluten free in Sheffield: What’s coming up?